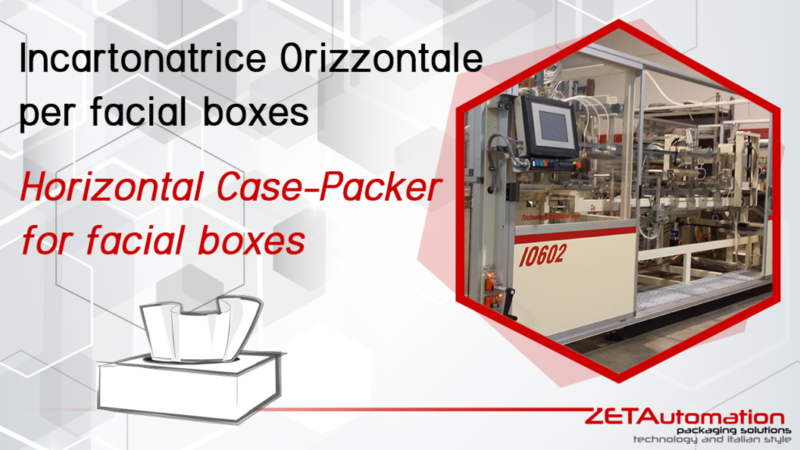 ZETAutomation was born 10 years ago and started its business as a maintenance company for case-packers. It quickly begins designing and producing its own case-packers. We have a range of machines which distinguish each other per vertical case-packing or horizontal case-packing of small, medium and large case dimensions and per low, medium and high speed production. The same case-packer handles different formats thanks to the manual or automatic format changing. Furthermore, we have developed a “weight-checking” system that checks the filled and closed case with a discard system for not compliant cases. 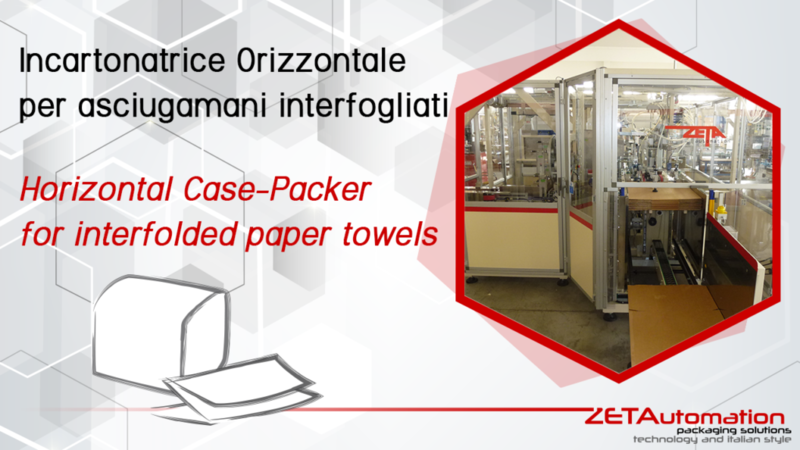 ZETAutomation has more than 100 installed and running machines placed in Italy, Europe and Extra-European Countries for nonwovens, tissue and food industry.